What is the point of Birmingham Parkway? Seems like Soldier's Field Rd could more than handle the trips rerouted by eliminating it. Redevelop that whole area with neighborhood streets. It doesn't justify its continued existence, but based on this 1955 aerial it looks to be an old alignment of SFR dating from when the abattoir occupied the current site. 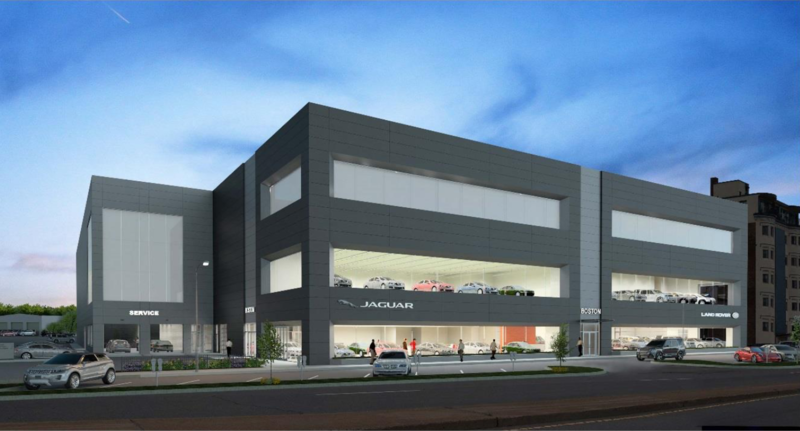 Herb Chambers replacing Honda and Infiniti dealerships with new Jaguar/Land Rover dealership. I know critiquing a box for displaying vehicles is kinda pointless, but this thing is deceptively big and sits in a rather prominent spot on this curve in Comm Ave. Something just a little less stark would be nice. As someone who dropped my civic off at this delaership this morning for a honda recall, I'll be sad to see it go. I find it hard to reconcile that building's cheap looking exterior with Jaguar's desired brand image. That doesn’t scream luxury. It whimpers suburban office park. At this location they currently already have BMW, Porsche, Honda, Infinity with substantial renovations in the not-distant past. It all looks like off-the-highway-exit garbage currently. Here's the issue: the Comm. Ave. corridor (past Packard's) is a great place for reasonably priced housing for young working professionals, and judging by the 6:30am folks on the B-branch, is highly utilized as such right now. The issue with this dealership is that it is not designed to be a CITY dealership...it still has vast parking lots between the buildings. For those who have seen urban car dealerships in Europe, you know what I mean - there's a way to do it space-efficiently - and Herb's NOT doing it here, and, judging by the renders, is still not doing it. The Jaguar/Land Rover render is simply a 3-story version of the current Honda/Infinity building...it does not (from what I can tell) fill in the big parking lot in the middle of Herb-land. All this is is a recognition that there's a market for rich international students buying ridiculously expensive cars in this specific urban locale, coupled with the recognition that suburbanite commuter Honda buyers are a less focused market than best leverages this particular parcel (suburbanites can service their Honda's elsewhere...again, sorry dwash). I'm sorry but I see tons of international BU kids driving Herb Chambers' porches and BMWs (and there was even a Globe article on this specific phenomenon recently that I am too lazy to look up). This is nothing more than a toggle to today's reality, with no improvement of the Comm. Ave. real estate utilization/streetscape. If I were Herb, I would have done this PLUS carve out 1/3 of this overall parcel for an apartment building...because you CAN sell porches/bmws/jags out of a compact urban dealer setup and better utilize space, AND maybe even activate the street-level under the apartment building. Gack! Love the vultures buzzing around ready to rip into the carcass of this dreary, traditionalist mess. I mean it's currently an empty lot. I think this 'traditionalist mess' is a significant upgrade from the sad state of affairs that currently occupies this site. PNF for 40 Mount Hood Rd. That motel site has been a blight for 60 years. This will be a big improvement. PNF for 44 N Beacon has been posted. Most unique feature is the farm. I think a lot of this is brand driven. Urban car dealerships just are not that common and the brands aren't set up to deal with it. All they can imagine is a suburban strip (see the new Maserati dealership on Soldiers Field Road that could be a Toyota or Hyundai dealership. Completely generic). So the brand identity is all about visibility at high speeds. And brand identity is all that matters. And they are trying to cram an amazing number of vehicles in there so it gets huge. I think if they were looking at all of the buildings as a campus it could be a lot better but that is apparently asking too much. One offs are easier. I think a lot of this is brand driven. But, this service center looks quite pricey. Of course you can and it's done in Boston, Tesla has a similar set-up at the base of 888 Boylston. The difference here isn't one of architecture but one of corporate structure and business regulation. The typical US car dealership model is built around third-party dealers selling the inventory that sits on their lots; they buy cars from car companies then keep them sitting around on their lots until they are able to sell those exact vehicles to customers, much like at any other typical retail store. 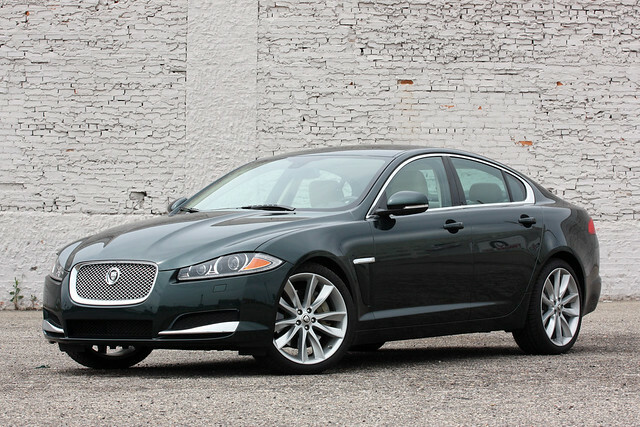 You don't buy your car from Jaguar, you buy it from Herb Chambers. This requires a lot of space to stock inventory. The way Tesla does it (and the way I understand it to be done more commonly in Europe and other places) is that the "dealership" is only a showroom where you go, look at a floor model, take another model for a test drive, and pick out the features that you want. You then order the exact details of what you want and your actual car is produced/procured off-site and delivered to your door. No inventory is actually kept at the dealer. This frees up a bunch of space at the dealerships and allows the customer more options to customize their exact vehicle. They can choose from anything they want, not just what is available on the lot. It takes more time to receive final delivery of your car this way, but new car purchases usually aren't something that needs to happen right now anyway. This format also cuts out the middleman, as the customer buys directly from the car company and not from a third-party dealer. However, this is illegal in many states, something that Tesla has been struggling against for years. States have established laws prohibiting car companies from selling directly to customers, and requiring them to work through these semi-independent dealer middlemen. Thus, you can't order directly from the manufacturer and are more likely to have to choose from whatever cars the dealer has previously purchased and has sitting around on the lot. If Tesla ends up prevailing in their legal efforts to overturn these laws (and I hope they do) and all car companies start selling directly to the consumer, then there will be much less need to keep new cars sitting around at dealers on inventory. There will always be some "car lots" (especially for used vehicles) but they can stay in places with cheaper real estate. Last edited by JumboBuc; 03-09-2018 at 11:41 AM.